Dr. Olga Isaeva graduated from LSUSD – Louisiana State University School of Dentistry – in 2004. Since then she has practiced as a general dentist, first in North Carolina until 2007, and then in Long Island, NY until the present time. 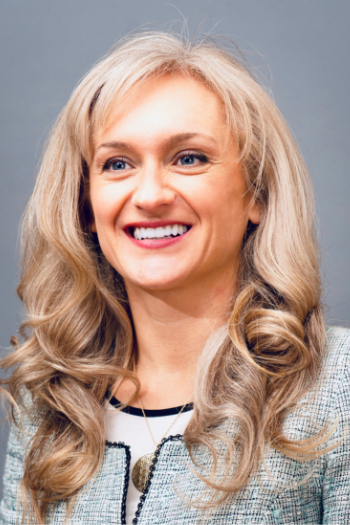 Dr. Olga (as she prefers to be called) stays on the top of her continuing education and has recently rediscovered her passion for dentistry in the newly emerging field of BIOMIMETIC (or “nature mimicking”) Dentistry. Dr. Olga, a graduate of Alleman-Deliperi Center for Biomimetic Dentistry, is one of the handful of dentists who believe in this nature-driven movement and she is strongly committed to conservation and preservation of healthy tooth structure, which lies at the core of Biomimetic Dentistry. The Biomimetic approach practiced by Dr. Olga eliminates aggressive crown preparations and destructive root canal treatments by up to 90%. Dr. Olga receives a great deal of satisfaction from restoring her patients’ teeth the natural way rather than subjecting them to traditional procedures that often fail and require costly redos. 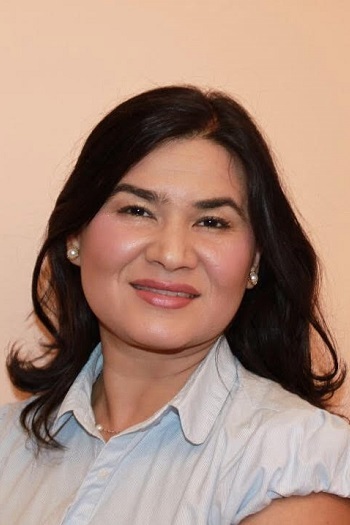 In addition to her dental training, Dr. Olga is a level II Energy Reiki Healer and can incorporate Reiki into her patients’ dental visits upon request. Individual Reiki sessions are also available. Reiki is a Japanese technique for stress reduction, relaxation and activation of self healing. To broaden her medical background, Dr. Olga graduated from the American College of Integrative Medicine and Dentistry in February, 2016 (http://www.acimd.net/) and became a Board Certified Naturopath. She strives to bridge the gap between her patient’s dental problems and the mind and body medicine. She is strongly committed to the art and science of natural therapeutics and subscribes to the motto “DOCTOR do NO Harm”. Dr. Olga believes a truly beautiful smile is part of a healthy, integrated self. She takes great care in looking at your dental needs as a part of your overall health and well-being. When not saving teeth, Dr. Olga’s hobbies include cooking with live foods, taking dance lessons, daily exercise such as yoga or swimming and, most importantly, taking regular walks in nature with her lovely puppy, Jack the Russell. Dr. Chitvan Gupta graduated from Maulana Azad dental college in Delhi, India in 2000. To further her education, she did a 2-year residency program of Advanced Education in General Dentistry in Rochester, New York. During her residency in New York, Dr. Gupta was able to learn from world-renowned dentists serving as mentors, teachers, and lecturers. She also holds a Master of Public Health (MPH) degree from Johns Hopkins University. Dr. Gupta has been practicing general dentistry in New York for over five years. 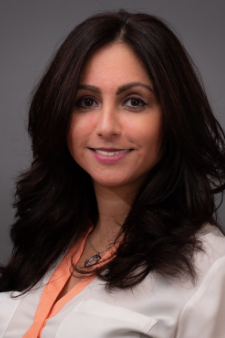 Dr. Gupta Is always looking to advance her knowledge and has taken several continuing education courses in esthetic dentistry and mastering functional dentistry with premier Institutes like clinical mastery series. she is also Invisalign certified and is a member of the American Dental Association. Dr. Gupta is also, a graduate of Alleman-Deliperi Center for Biomimetic Dentistry, and is strongly committed to minimally invasive dentistry. Dr. Gupta believes in holistic healing and is a yoga instructor and a level 3 reiki healer. She lives in East Northport with her son and husband. Dr. Diana Kopach is a graduate of the New York University Dental School. After having completed her dental degree in 2013, she completed an additional year of post-doctorate education as part of a General Practice Residency at Jamaica Hospital in Queens serving underprivileged patients. Immediately out of residency, Dr. Kopach joined a holistic dental practice and was trained in the field of biomimetic dentistry. Her goal is to provide her patients with exceptional dental care while maintaining a minimally invasive approach. A natural artist, she takes pride in creating beautiful smiles and dental restorations. Dr. Kopach’s focus on patient comfort and a holistic approach to dental care making her an ideal addition to our office. Always smiling, she quickly puts patients at ease. Out of the office, when not running after her four young children, Dr. Kopach enjoys to read, teach dance, attend meditation retreats and actively pursue a holistic lifestyle.